A good book, yet not as good as the first one. 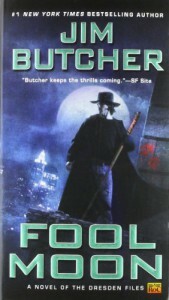 Let's see if I can break down my take on this instalment of The Dresden Files succinctly. Plot: Predictable, yet engaging, in true P.I. mystery fashion. Not that I saw every twist and turn coming, but I did spot most of them. This doesn't need to be a bad thing, however. It stays true to the genre, and the pages turn quickly because of it, but it's worth noting that there are no earth-shattering surprises. Characters: Poor characterizations on the whole, which was the main reason I scored this one lower than the first book. Harry acts as if he is the unwilling source of Original Sin, and must shoulder everyone else's responsibilities alone. He was like that in the first book to a certain extent, but I found myself getting pretty tired of it about halfway through this one. Also, Murphy suddenly turns into a complete moron, almost as if she switched roles with Carmichael, whereas Carmichael himself suddenly became more reasonable (a little too late, though). Weird. Not sure what happened there, but my wife tells me Murphy gets a lot better in successive books, so at least there's that. Dialogue: Decent, actually. Not as clean as in the first book, which I appreciate. I've listened to cops talk when they think no one else can hear, and they sound a lot like tradespeople (for those of you who are neither police officers nor tradespeople, that means they tend to curse a lot). Fantasy Elements: I really liked how Butcher mixed various lycanthropic legends into the story. It really separated this werewolf novel from most other werewolf novels and gave it a mythology all it's own. Also, the Loup-garou battle in the police station was pretty badass.